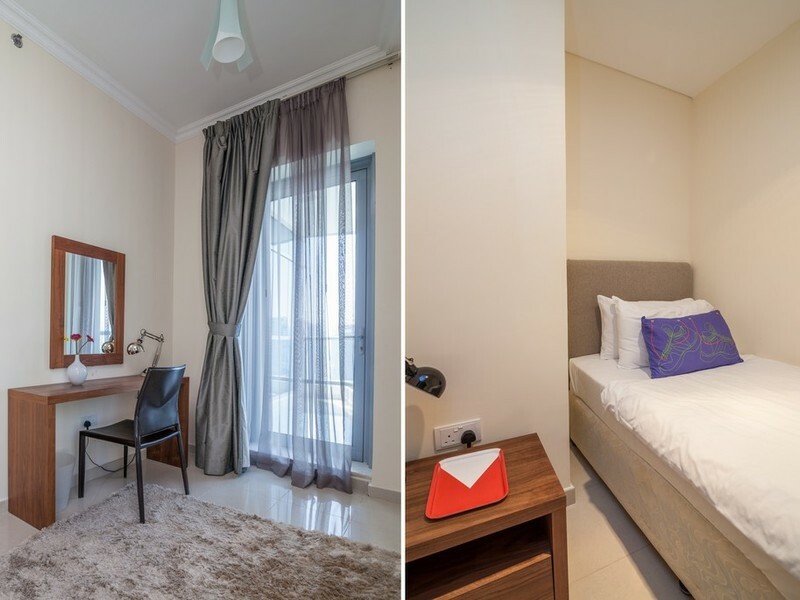 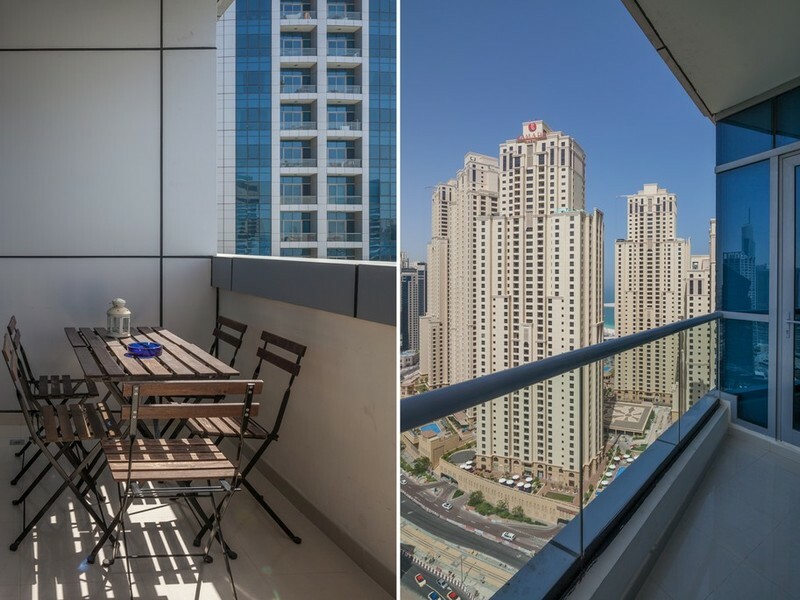 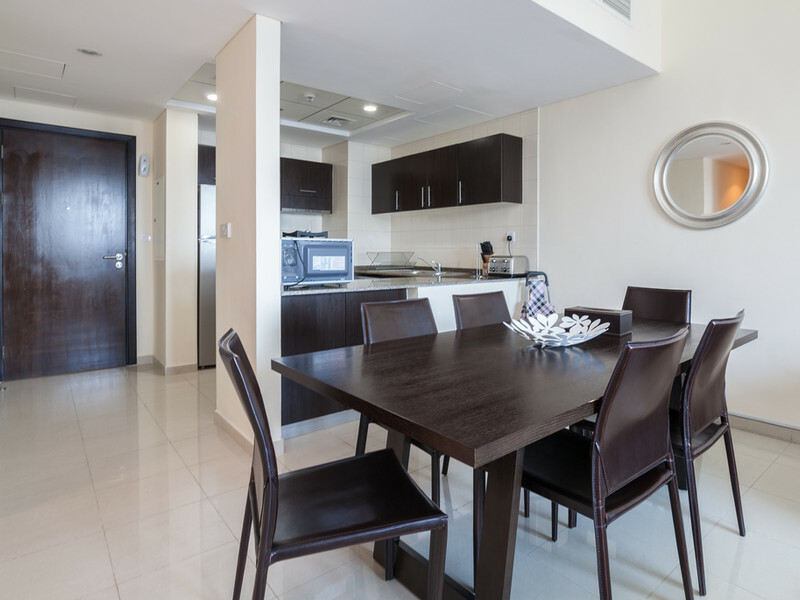 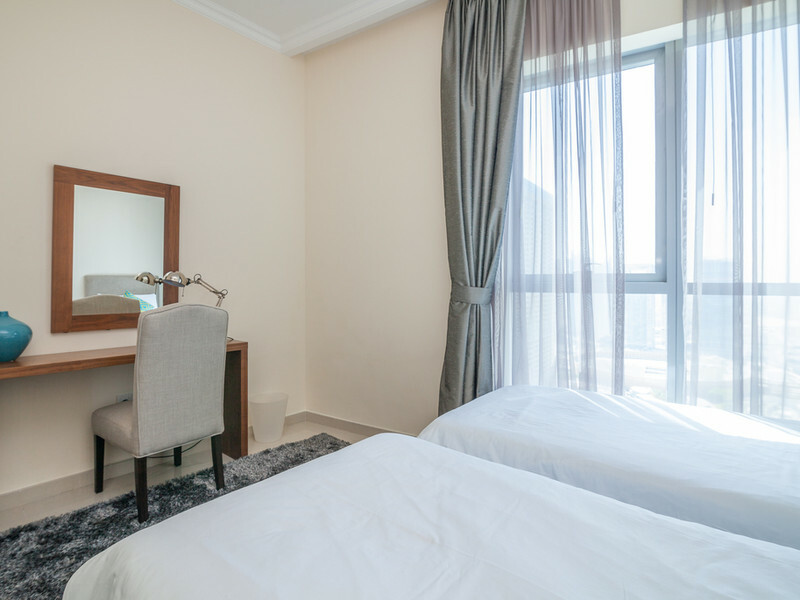 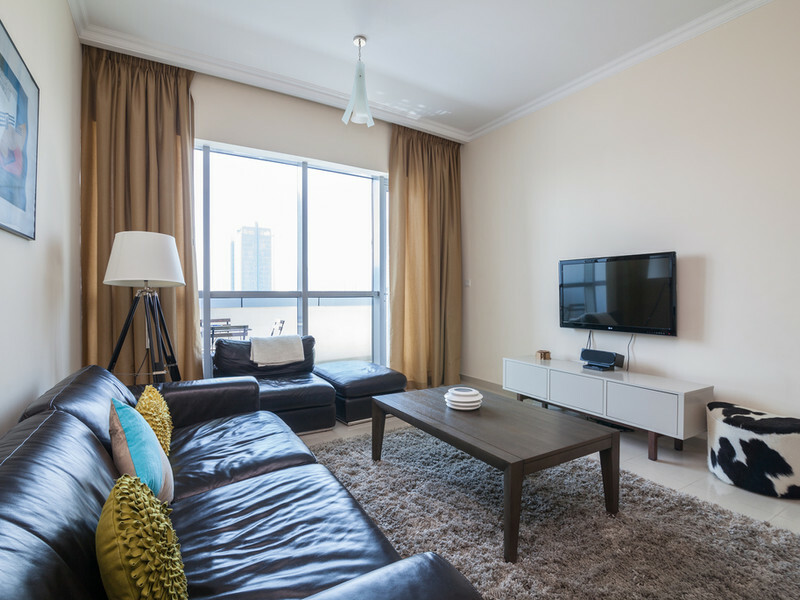 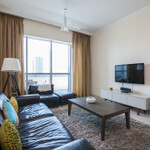 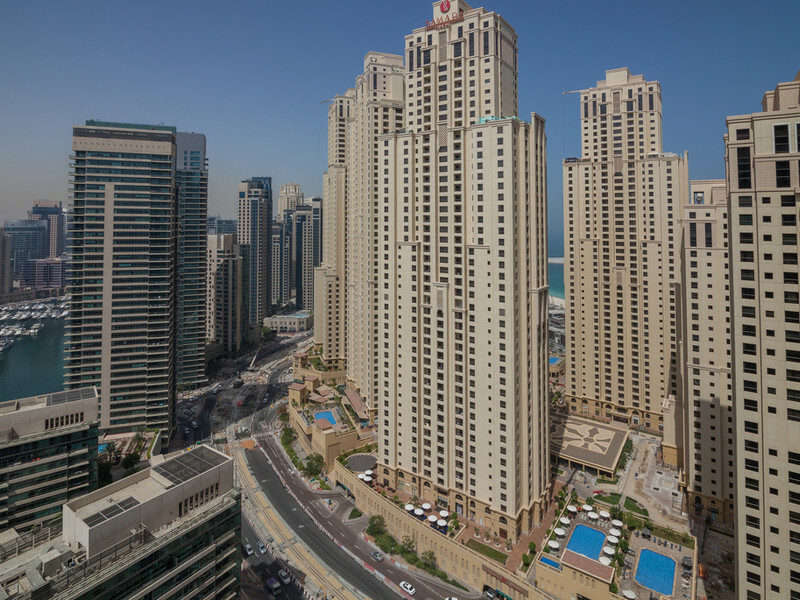 Located in the heart of the famous Dubai Marina, our modern and spacious 27th-floor apartment is just a 3-minute walk to the white-sand Jumeirah beach. 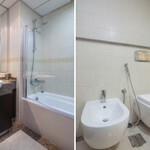 Fully equipped with all mod cons, it's ideal for leisure or business travellers, and boat lovers! 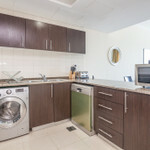 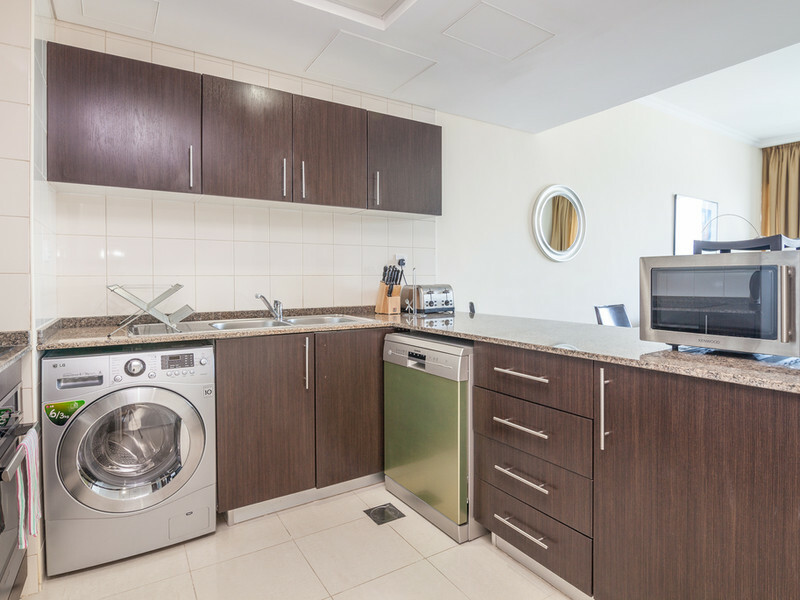 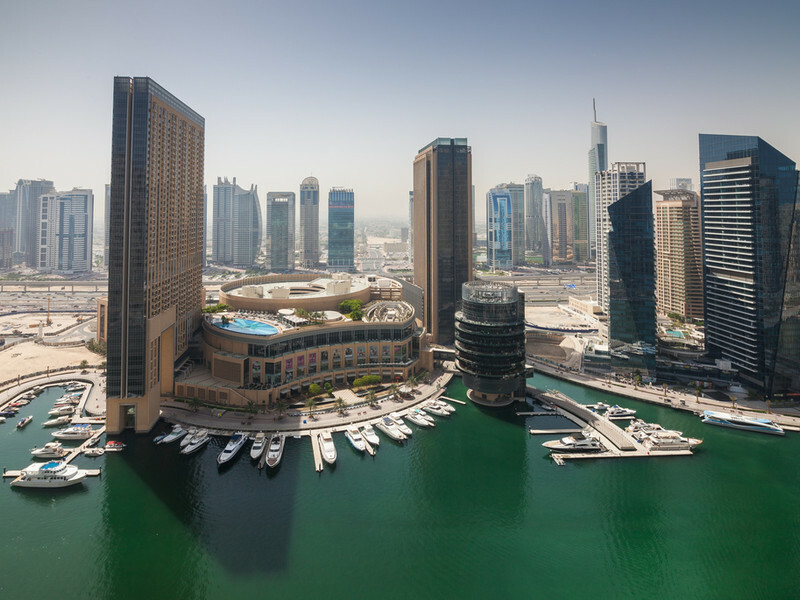 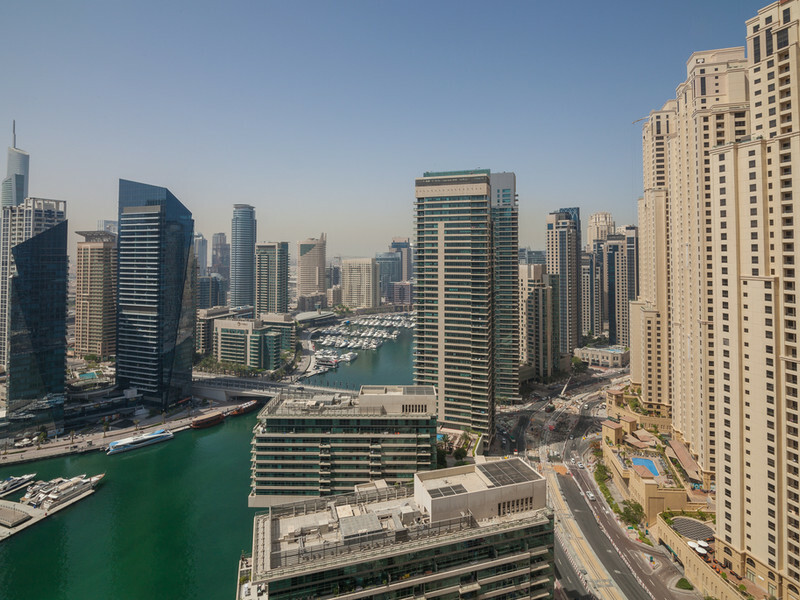 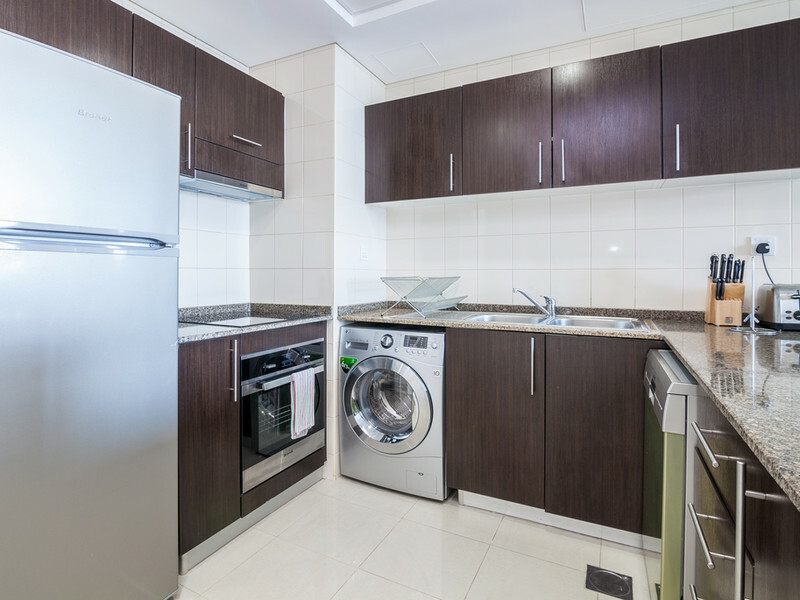 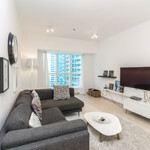 Situated on the 27th floor of a modern tower block, our 4-bedroom, 3-bathroom apartment boasts spectacular views of the Dubai Marina with its luxury yachts, boats and striking buildings. 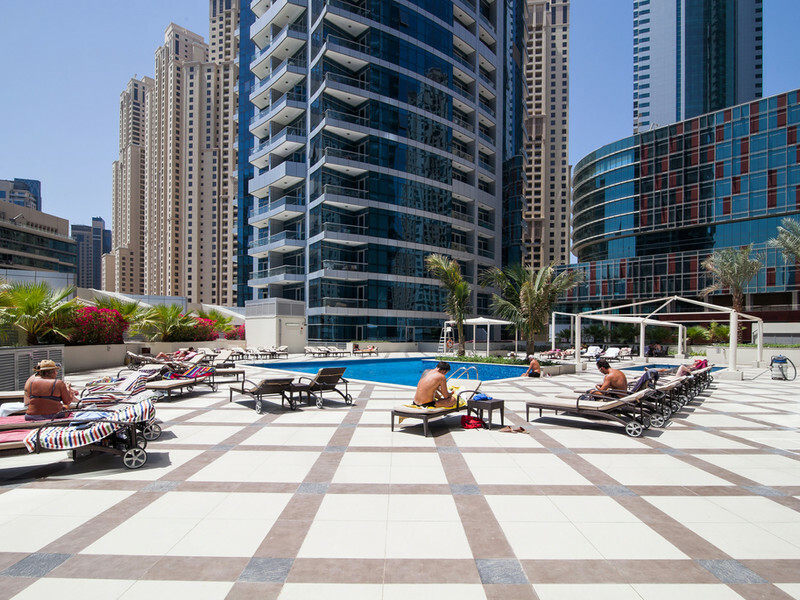 Guests benefit from access to the building's several pools, Jacuzzi and gym, as well as the friendly concierge, on hand to help with any questions or requirements. 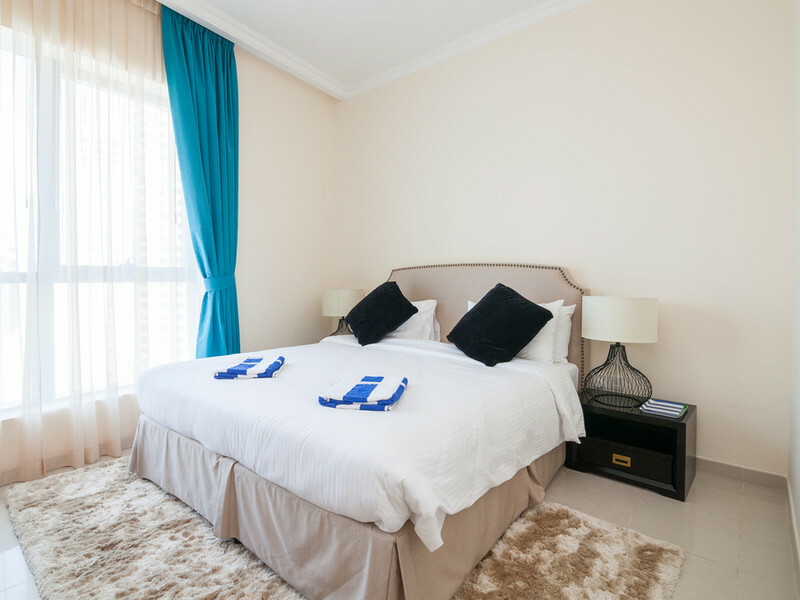 With 4 bedrooms, the apartment is ideal for groups or families and can sleep up to 8 guests. 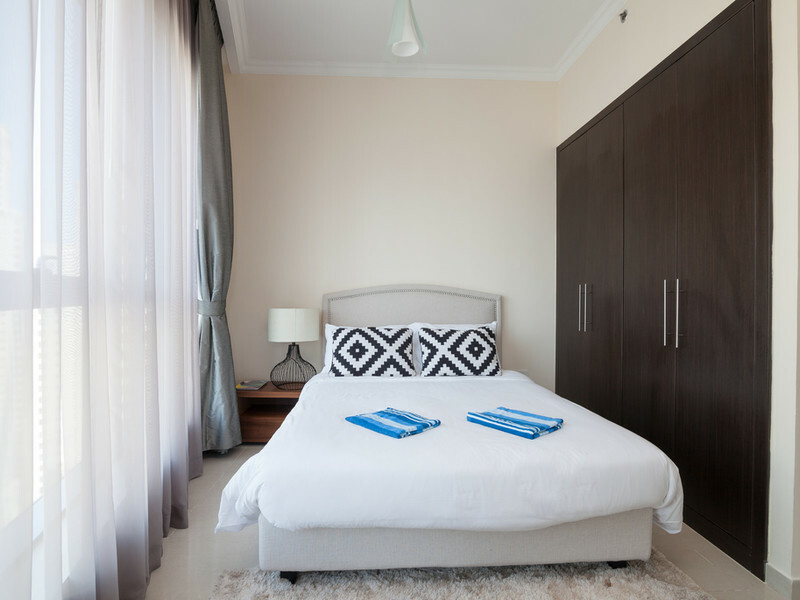 The master bedroom offers an en suite bathroom and dressing table. 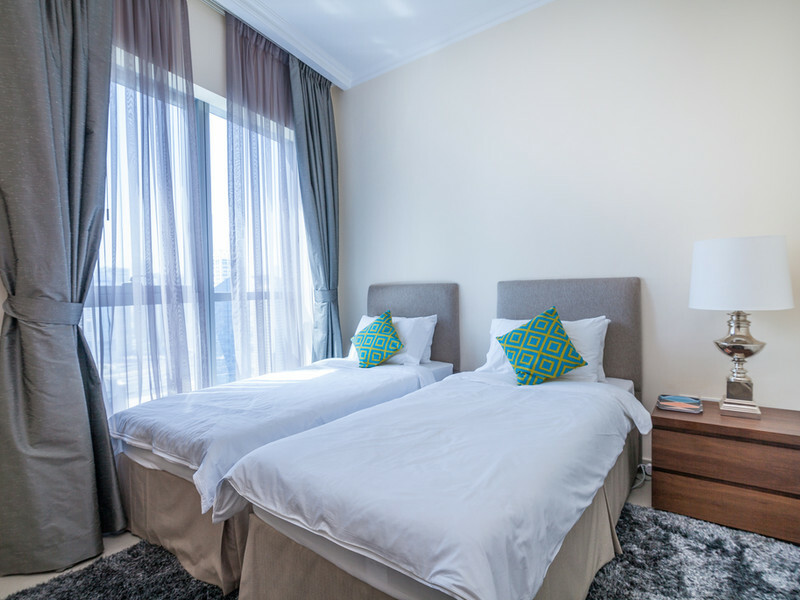 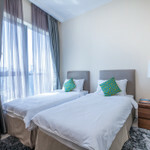 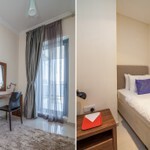 There is also a bedroom with king size bed and private balcony, a bedroom with twin beds, and another bedroom with a single bed and en suite shower room. 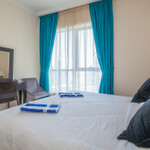 There is also a folding bed for an extra guest. 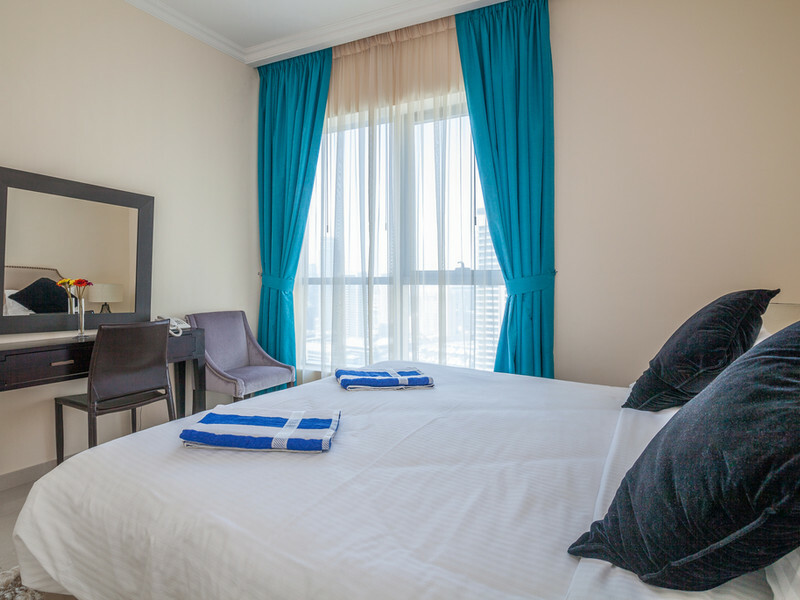 We provide all bed linen, bath and pool towels. 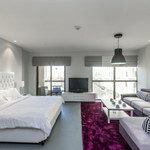 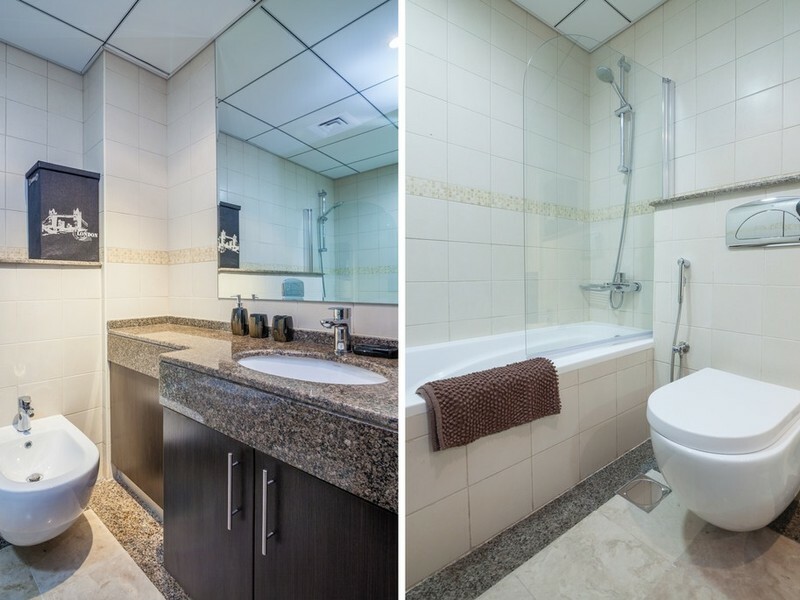 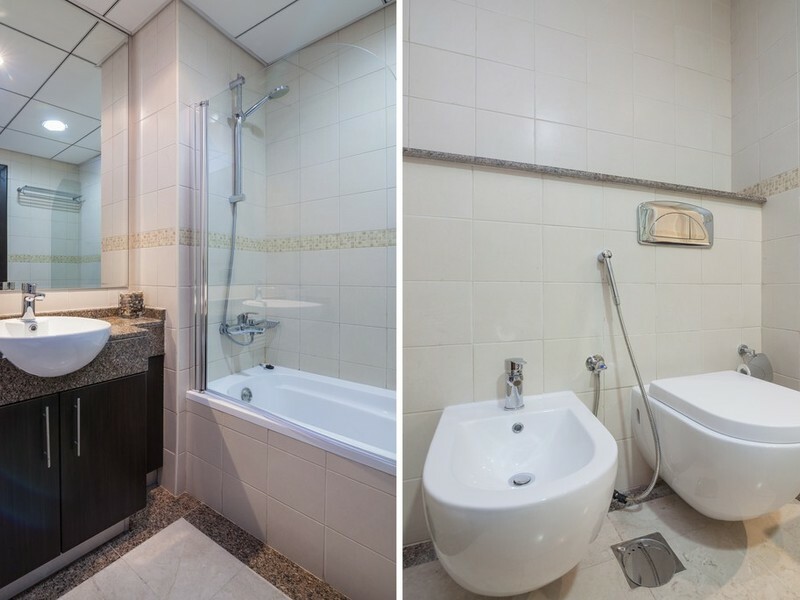 Guests will have full access to the facilities within the residence including Wi-Fi, gym, sauna, swimming pools for adults and children plus Jacuzzi. 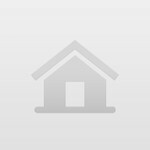 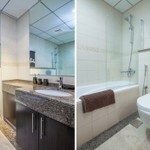 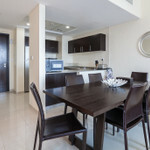 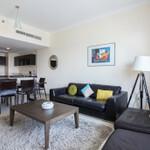 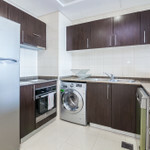 The apartment will comfortably accommodate up to 7 guests, although we can accommodate a maximum of 8 guests. 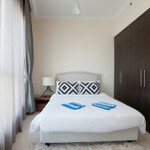 Note the 8th guest will be accommodated on a folding bed, with full bedding provided by the host. 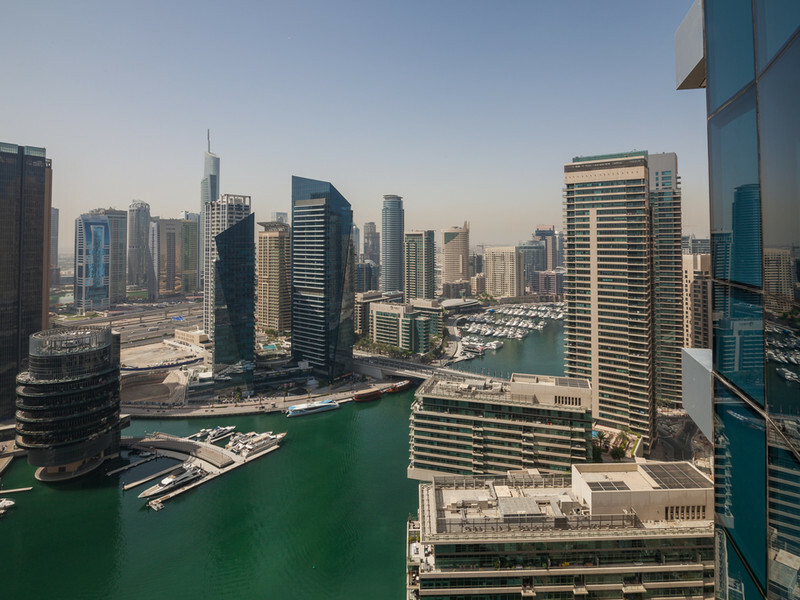 We have a concierge service that includes a local property manager who will act as your local contact during your stay in Dubai. 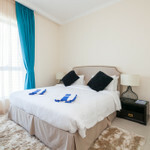 This can include booking trips and tours, restaurants, airport transfers and baby sitting services. 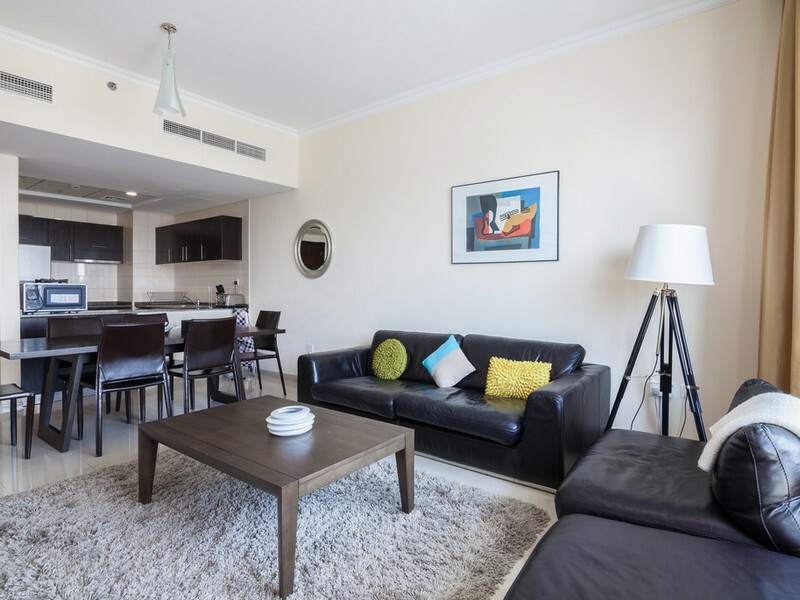 Additional services include, airport transfers, higher frequency housekeeping, welcome hamper, trip / restaurant bookings & many other services are available at additional cost through our local property manager.